If you consider yourself a crafter of any kind, you are probably already familiar with the wonderful accessory that is washi tape! If not, prepare to be inspired: this do-it-all DIY must-have is absolutely perfect for decorating your LifePlanner™– even if you aren’t exactly the next Pinterest professional. Using classic washi tape and our designer sticker sheets, we’re going to show you a few simple techniques to turn your LifePlanner™ into a work of (washi) art! Creating fancy frames for your monthly or weekly calendar is a gorgeous way to add personality and excitement to your LifePlanner™ – particularly if you chose the neutral interior and are looking to add pops of color or metallic highlights! However, we found the designer sticker sheets just as easy to mix and match with a colorful interior. Watercolor against the goldenrod theme of August is simply stunning! Begin by selecting your washi or sticker sheet (we used metallic asterisk washi tape in gold for the monthly calendar and watercolor for our weekly selections). Using your ruler, measure the perimeter lengths of your borders and mark your washi tape or sticker sheet to cut the right lengths. As an added tip, you can also use the pre-ruled lines on the back of your designer sticker sheets as a guideline. 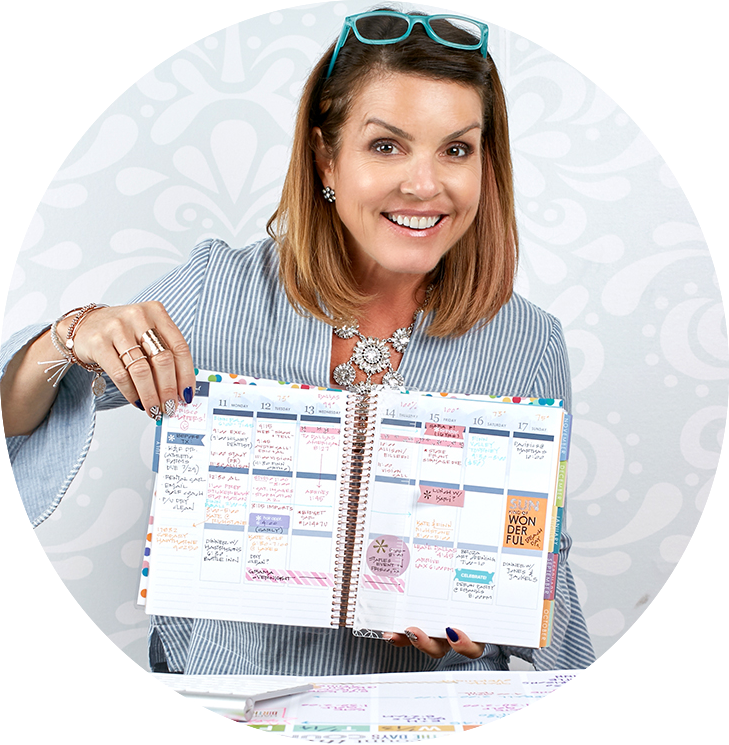 Whether you want to add borders to just the goals section, mark a super-special day, or outline an entire week is totally up to you and your creativity! Fun, colorful flags are a staple in our designer sticker books, but you can create your own using just washi! Simply cut a triangle section of washi or sticker sheets, then snip a triangle portion from one of the ends. Pro tip: don’t toss the triangle section- you can repurpose it for use in the next two design options! Who doesn’t love a darling banner, particularly when it’s in your LifePlanner™?! This decor staple is even more delightful as a planner design, and is super simple to create. First, grab your favorite pen or marker (we love using our Party Pops markers) to draw the string of your banner. Then, using the triangle portions you cut earlier or small triangles you cut just eyeballing it, attach your teeny-tiny flags to their “string,” and ta-da! A beautiful banner for a weekend of festivities. It may seem terribly obvious, but one of the easiest and most versatile design options for your planner are shapes of all kinds! To take it a step further, you can invest in hole punchers that create even more unique shapes- like our classic asterisk, a heart, or even a pineapple! Want more LifePlanner decorating inspiration? Follow us on Pinterest! …a permanent LifePlanner™ cover made from luxurious, leather-like material! 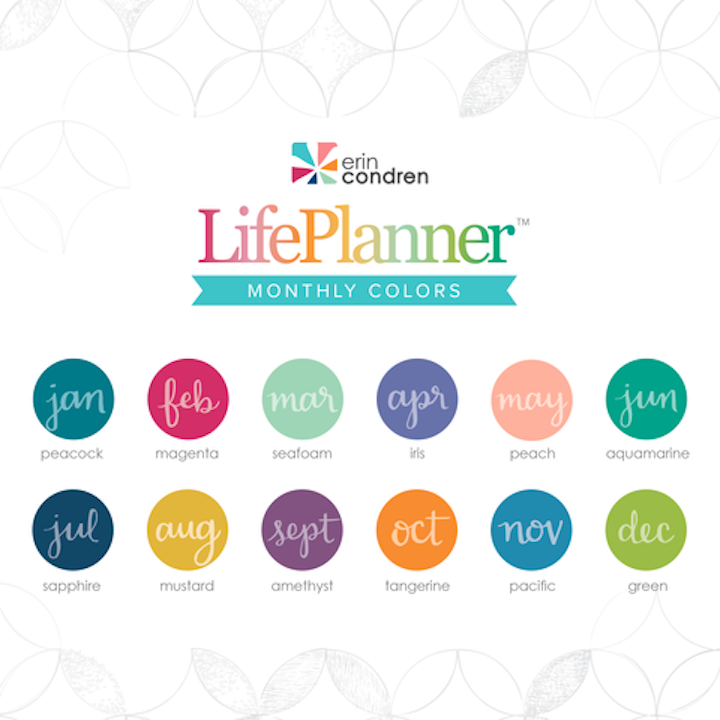 Introducing the luxe LifePlanner™! It’s permanent, leather-like cover is beautifully embossed with a metallic quote that looks simply stunning against three rich hues: plum, light teal and taupe. Combine that with a matching coil color in expertly coordinated metallics, and you’ve got one of the most beautiful books we’ve ever made. Materials matter – and we didn’t skimp on the luxury when it came to luxe. Water-resistant and extremely durable, your book will hold its beauty through a year of whatever, whenever, wherever. Want an exclusive look at all the exciting new designs and back to school goodies coming your way? Follow us on Snapchat! This year’s wash of watercolors in our colorful classic interior is arguably our prettiest palette ever! Not like I’m biased, or anything 😉 Seriously y’all, the monthly shades we selected coordinate perfectly with the seasons. Rich gemtones during the holidays, light & airy pastels for spring, & classic combos like Sapphire in July and Magenta in February round out a color scheme we’re crazy for! Now if these shades aren’t swoon-worthy, we don’t know what is! Shop 2017 LifePlanner™ and behold the beauty for yourself.